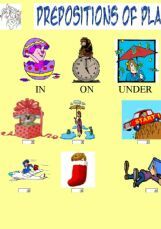 A simple exercise to teach basic prepositions of place. Suitable for very young learners as well as adults. Nice. I´ve already added it to all my beginner students, and they are many!